70F architecture created a unique carport. 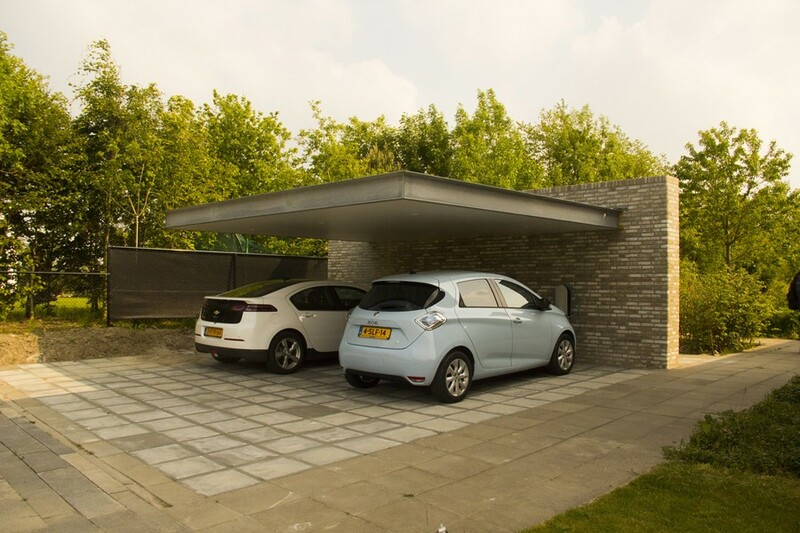 Where most carports have a simple format and are derived from a standard product range, in Almere Overgooi 70F completed an architectural 2-space carport, including an electronic charging point. The carport consists of only two surfaces, one vertical and one horizontal. Since no use is made of supportive poles the carport seems to play a game with gravity. 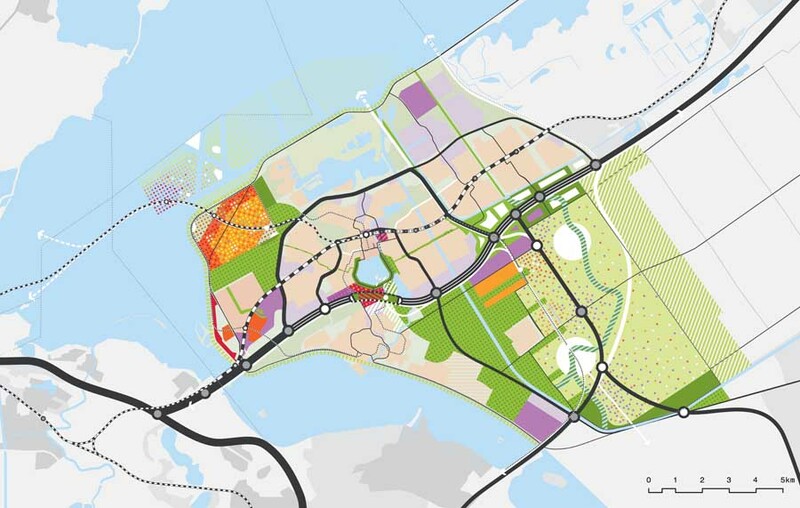 In 2009 70F designed a villa for the Hendrikx family in Almere Overgooi. The villa is built in the style where 70F is famous for: Spartan hyper-modernism. Last year 70F was asked to design a carport that suited the villa. 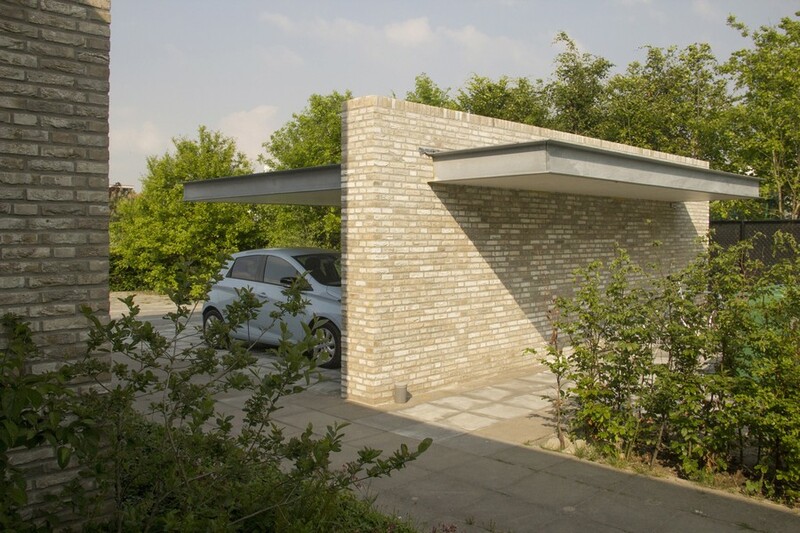 Every detail of this carport is considered and the result shows that even something as simple as a carport can become a beautiful piece of architecture.